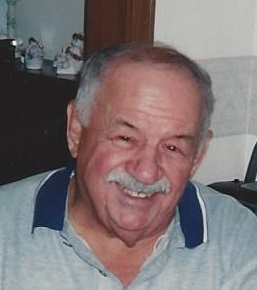 John L. Vargo, 88 of Whiting, passed away peacefully on Tuesday, January 29, 2019 at the Cedar Creek Health Campus, Lowell. He was the beloved husband of the late Helen (Quisenberry) Vargo who passed away on August 18, 1974; loving father of Linda (Carl) Drew, John (Peggy) Vargo, Jr., Lisa Johnson and Jeanne Vargo Lopez; cherished grandfather of 12 grandchildren; adoring great grandpa of 26 great grandchildren. Funeral services will be held on Sunday, February 3, 2019 at 4:00pm at the Baran Funeral Home, 1235-119th St., Whiting, with the Rev. Stanley J. Dominik, officiating; cremation to follow; visitation at the funeral home on Sunday from 1:00pm to time of services. John Vargo was born on November 29, 1930 in Whiting, Indiana to Paul Vargo and Emma (Sokol) Swan. He was a lifelong resident of the Whiting-Robertsdale Community, a graduate of Hammond Tech High School, Class of 1948 and was a member of the former Immaculate Conception Church, Whiting. John was a US Army Veteran of the Korean Conflict and was a retired firefighter from the City of Hammond Fire Dept. with over 20 years of service. He was a very talented painter and enjoyed his visits to Whiting Park and to Center Lounge, Whiting. Devoted to his family, John will be sadly missed by all who knew and loved him. In lieu of flowers, memorials to the St. Jude Children’s Hospital, would be appreciated.